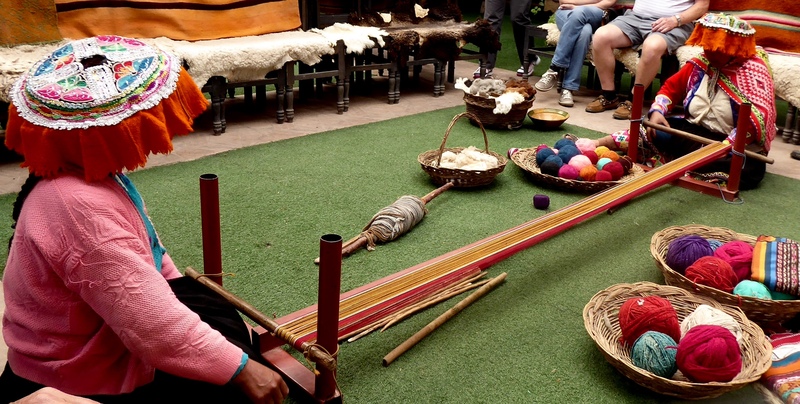 There are many things to be learned by visiting civilizations past and it’s doubly so with the Inca Nation. 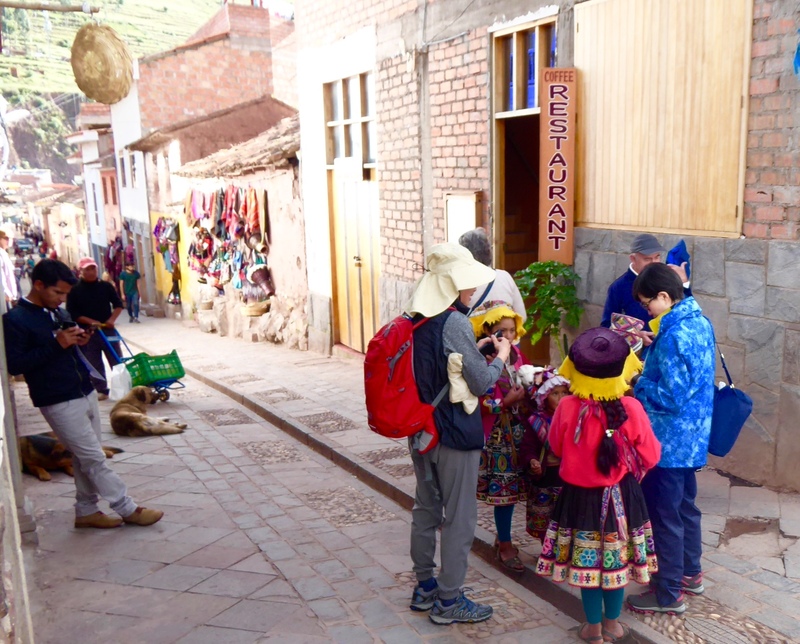 Although we only had seven days in Peru, it did not take long to realize just how influential the Inca people were, both in history and in the Peru of today. 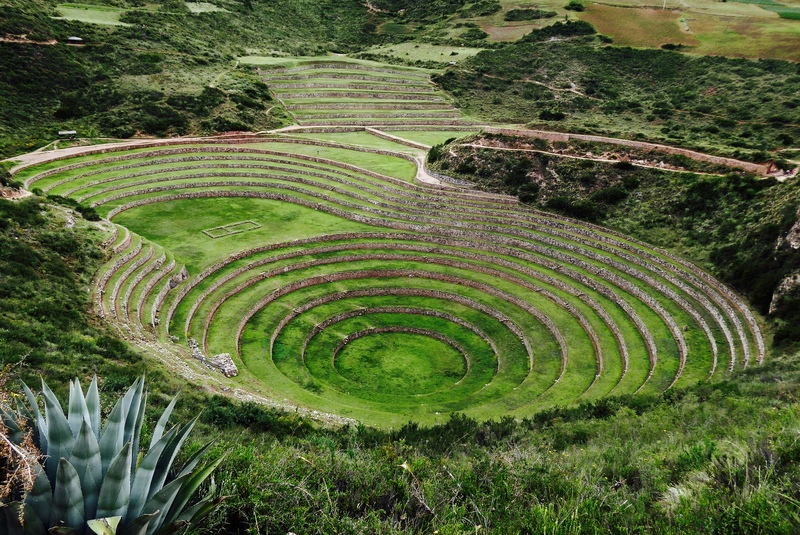 In history, the Inca left behind cultural, religious and scientific legacies that continue to astound scientists, historians, and visitors to this very day. 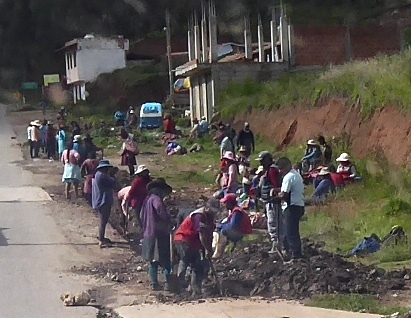 In the present day, and since the near-destruction of the nation in the 16th Century, ancestors of the Inca continue to rebuild the historical sights, traditions and religious practices which served their ancestors so well. It is a history about which our world can learn much. 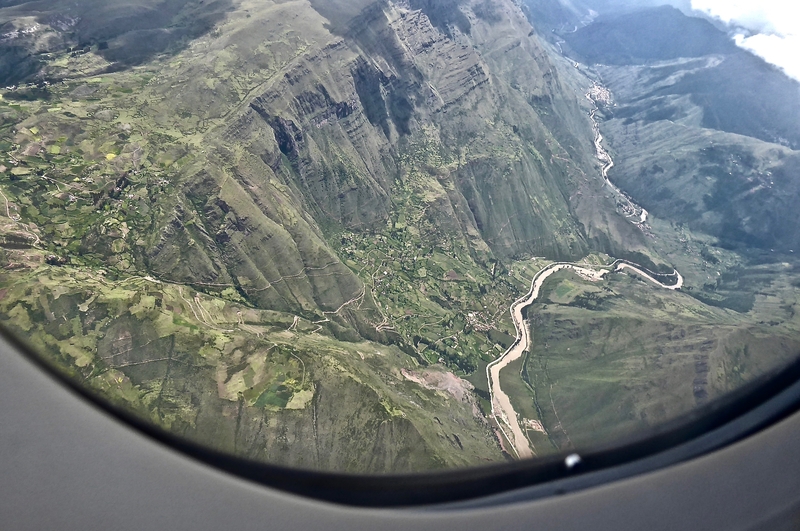 Peru, A Different Perspective: Includes 12-minute slideshow of photos taken through the windows of planes, trains, and automobiles. Peru and the Inca: Back to the Future: Compares the science of the Inca to that taking place in the University of Victoria today. Looking for something exciting to kick off the New Year in 2019? Yes? 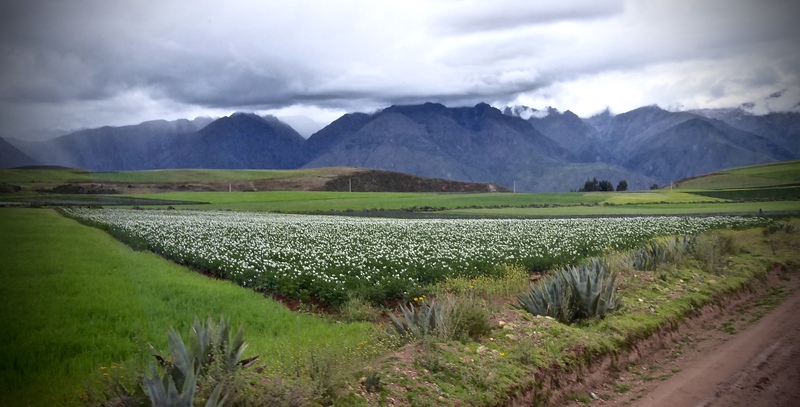 Well, we invite you to join Garth and Esther Dunn, Lynn and Harold McNeill and a host of like-minded adventurers on a 3-4 week air, sea, coach, and rail tour of south-central South America and the Falklands. 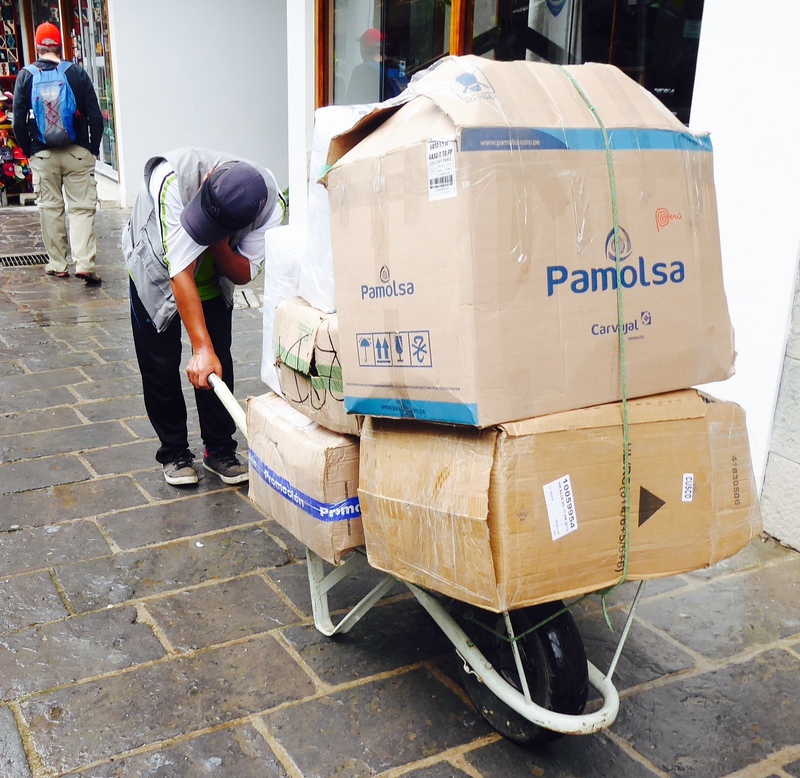 Highlight – Machu Picchu! 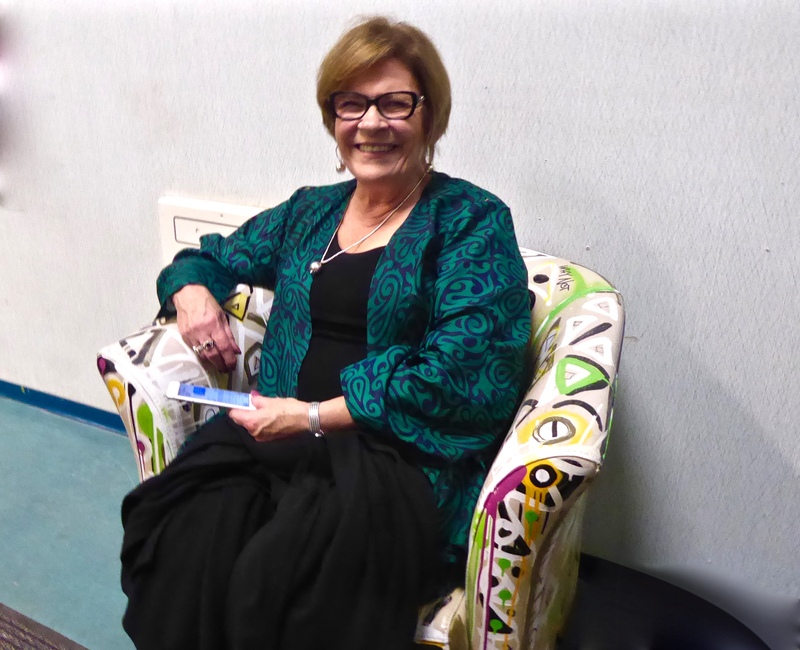 A fun time for everyone at the McTavish Academy when Elaine Kirwin, owner/manager of the Sidney based agency, hosted her Annual Expedia CruiseshipCenters Awards Event. With Bronze, Gold, Silver, Platinum, Ruby and Diamond awards being handed out, there was plenty of buzz about the successes of 2017 and what’s in store for 2018. With two men now counted among the crew of twenty-five, it seems the reverse glass ceiling was finally breached. 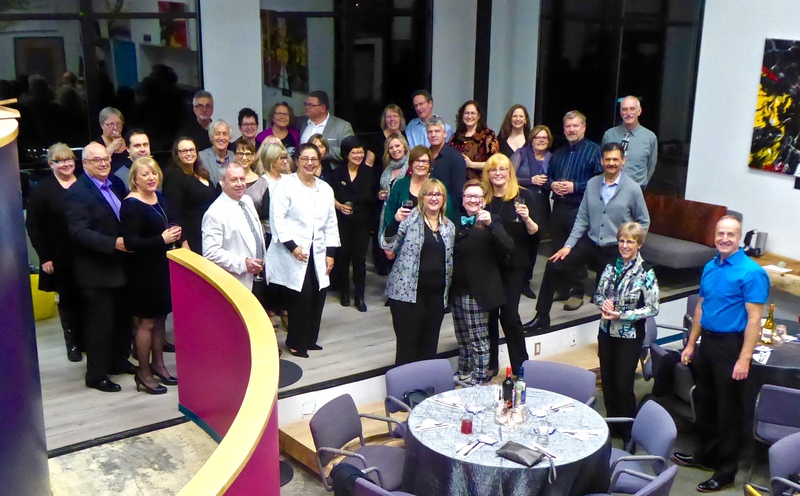 Elaine (photo right) has much to be proud of, as over the last two decades she has built a skilled team of Travel Professionals, and this has led to the agency receiving several Provincial and National Awards for Service Excellence and Achievement. The awards include two National Awards, as well as being #1 in Western Canada for Uniworld Boutique River Cruises; and in the Top 3 in Western Canada, for the past five years, with Premier Ocean Cruises – Holland America and Celebrity; and Scenic River Cruises. For a small agency, these are noteworthy achievements. 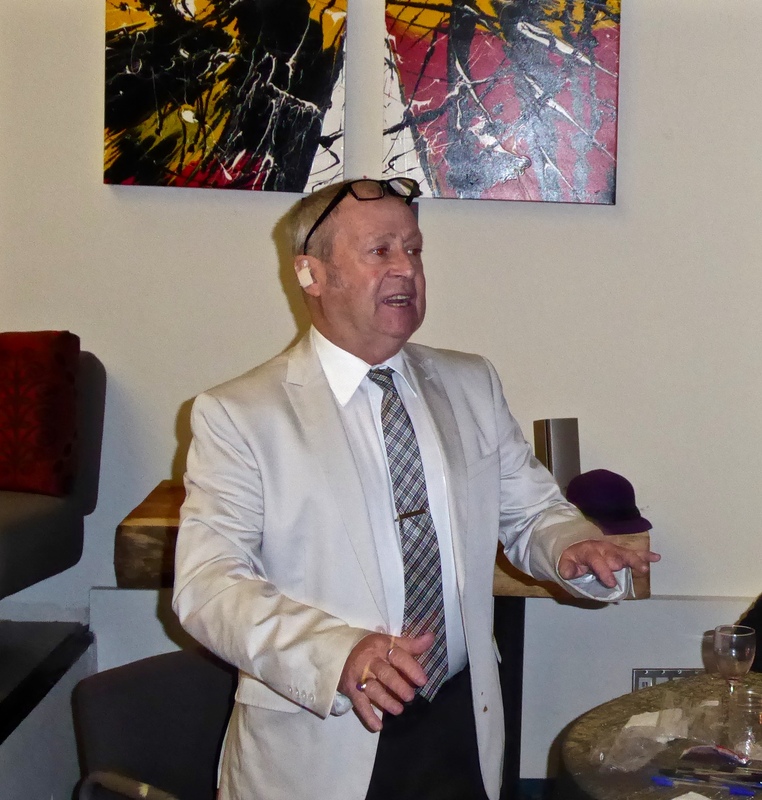 As part of the festivities, John Lovel (left), a representative with Emerald Cruise Lines, and Elaine handed out several gifts during the fun and games held after dinner. The competition for prizes was stiff with ties broken during the no holds barred, “rock, paper, scissors” playoffs. Many thanks to Elaine, her daughter Katie and the catering team from the Airport Spitfire Grill for tasty appetizers, meal, fine wines, and cold beer. Notes: I didn’t manage to get a photo of everyone with their award. If you have a photo(s) you like me to add, please send by email to: lowerislandsoccer@shaw.ca or pass along to Lynn. H.
You may link into other travel background stories posted by Harold and Lynn on our McNeill Life Stories Facebook Page. The photo albums will usually provide a link to the background story. H.
The day the taps will be turned off in Cape Town, South Africa. 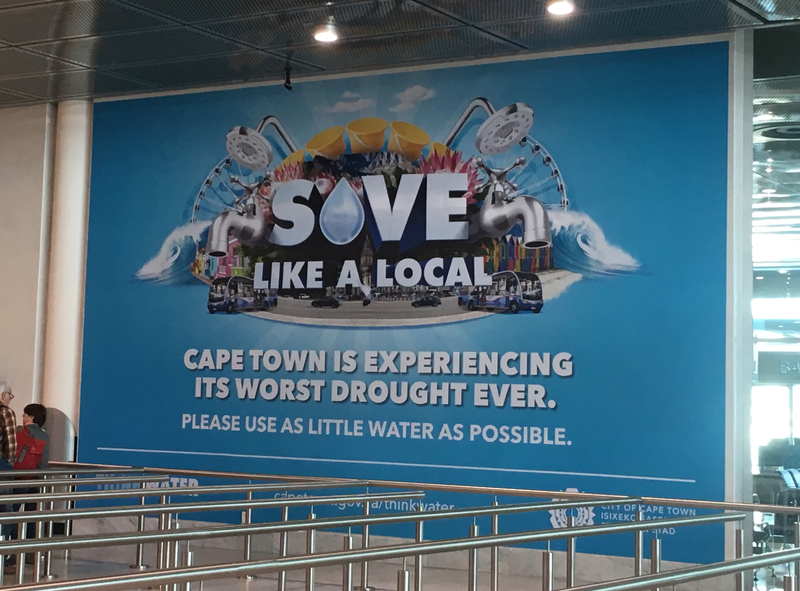 As we arrive in Cape Town, South Africa, a Metropolitan area of 3.7 million, a large sign at our airport advised the city was experiencing a severe drought and while the sign urged us to conserve, the welcoming nature of the sign did not impart the notion of just how critical the situation had become. Photo: This was the sign. 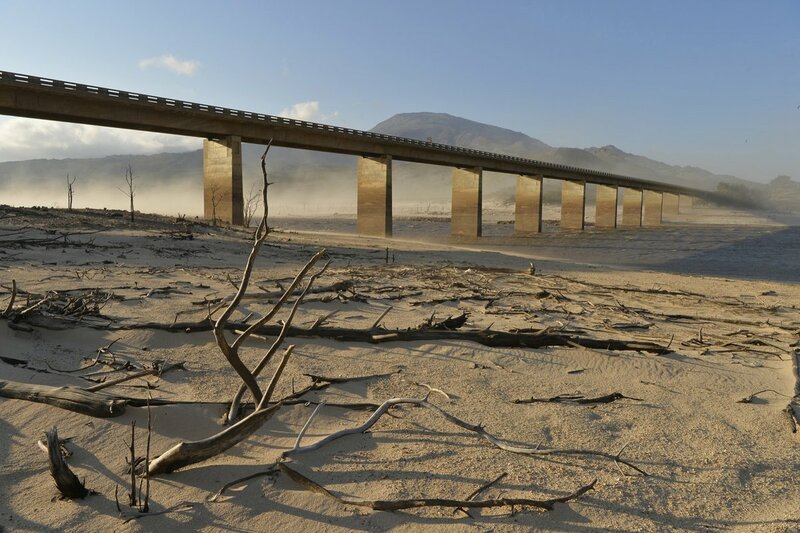 Perhaps a photo of the Cape Reservoir (above), along with a hard message might have had more impact of just how critical things are now, not years from now. We had the good fortune to visit an elementary school in a remote area along one of the tributaries of the Mekong River, a place where welcoming and exuberant children could barely wait to demonstrate their English language skills. “What’s your name.” and “How old are you?” were the favourites, but that was just the opening of two hours of interaction with the students. Lynn and I spent part of our time with a ten-year-old boy (photo above) who appeared to be the oldest in the class. Although a bit shy, he focused intensely on getting the wording of his questions correct, then intently listened as we answered. Had he been born forty years earlier, he could well have been the boy featured in part of the story below. To gain an understanding of the progress the people of Indochina have made over the past 25 years, take a few minutes first to watch the three slideshows linked in the footer. While incredible natural and manmade beauty greet you at every turn; the happy, healthy and carefree people you see at school, work and play today, contrasts sharply with immense challenges the people faced from 1940 – 1990. Perhaps you are aware of these challenges and the progress made, but we weren’t and the more we learned, the more amazing it all became. This series begins with a short, personal story which took place in Cambodia in the late 1980’s, a story of one boy’s quest to survive. His story was similar to that experienced by thousands of men, women and children whose lives were taken or shattered by war, genocide, starvation and disease. This story was related to us over several parts by our Cambodian guide and takes place during the height of Pol Pot’s campaign of genocide.